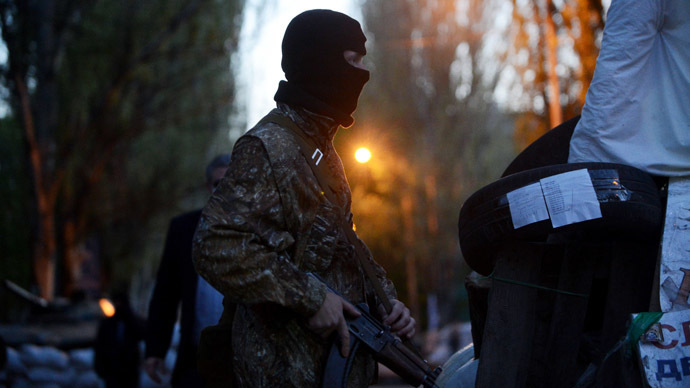 Amid escalating tensions in Ukraine, the local population remains unclear who the army is ‘defending’. Latest video shows a taxi driver standing up to Ukrainian soldiers at Slavyansk checkpoint. In response he received a confused answer from one of the soldiers: “We've been doing that since December, nobody really knows against whom." Ukrainian authorities have been pushing ahead with ‘anti-terrorist’ ops in the east of the country, which has been opposing the coup-appointed government in Kiev. Just last week five anti-government protesters reportedly were killed and one injured in Slavyansk after Kiev authorities sent tanks and armored vehicles against the local population. 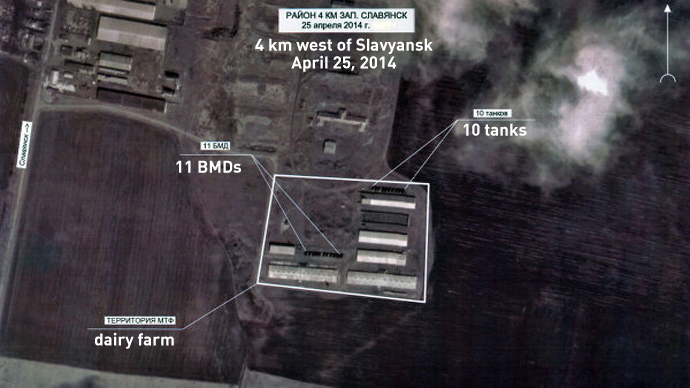 On Saturday, leaked satellite images revealed that Ukrainian tanks and armored vehicles have been stationed en masse around Slavyansk. 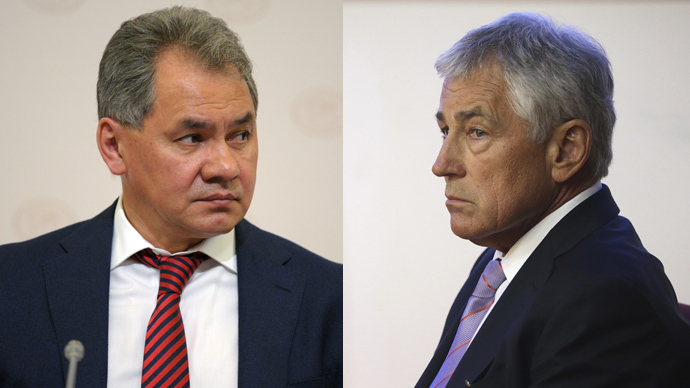 A Russian defense source said that artillery and rocket systems have also been deployed to the area. RIA Novosti published the satellite images showing the buildup of troops. The photos were dated April 24-25. 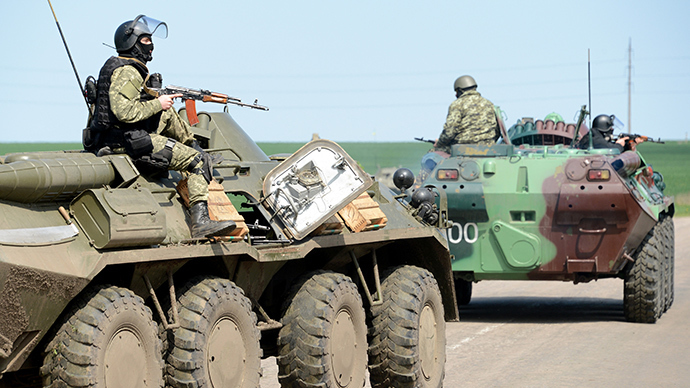 The images appear to show part of military hardware used for the current Ukrainian troops’ objective of “isolating” Slavyansk.